Sonia Niznik (pictured right, with her Case Manager, Rudy Trinidad) was taking shelter from Arizona’s dry summer heat at a “cooling center” provided by a local church when a team of outreach workers began conducting screenings using the Vulnerability Index-Service Prioritization and Decision Assistance Tool (VI-SPDAT). At the time, Sonia had been without a home for about three years. Sonia’s interview was part of the first wave of VI-SPDAT assessments conducted for Tucson’s Coordinated Entry pilot. The Coordinated Entry system is designed to prioritize and assist Veterans and chronically homeless individuals based on their level of vulnerability and embraces a “housing first” philosophy, operating with harm reduction principles within the safe environment of a home. Sonia was the first individual matched with housing under the new system. To date, more than 80 Veterans and chronically homeless individuals have been matched with housing and about 15 clients have been able to move into permanent housing through this system. I, Rudy Trinidad, a Housing Navigator and Case Manager for the Pasadera Behavioral Network, met Sonia a week and a half after she filled out the VI-SPDAT. When I met her, she had a big smile on her face. She was amazed that she was contacted about permanent supportive housing (PSH) so quickly after completing the survey. I helped her prepare the documentation she needed to qualify for the Pasadera PSH program, which is funded through the Department of Housing and Urban Development (HUD) Continuum of Care. She chose a place in a recovery based living community to help her address her substance use issues, which contributed to the job loss that led to her homelessness. A few weeks later, she had her own fully furnished studio apartment. Sonia currently volunteers at a care home and plans to pursue a career in the health care industry. She said that living in the permanent supportive housing has helped her stay focused on her goals. “Rudy is faithful in calling me and making sure that I’m staying on track. It’s a lot of accountability that I didn’t have before,” she said. Sonia has made incredible progress, from improving her health and employment prospects to maintaining her housing stability. Her story is a testament to the Coordinated Entry system’s progress and its potential to end Veteran and chronic homelessness in Tucson. According to Pamela Moseley, Homeless Management Information System (HMIS) Program Specialist for Pima County and board member of the Tucson Pima Collaboration to End Homelessness (TPCH), the Coordinated Entry system is a “paradigm shift” to previous approaches to address the community’s homelessness. “Getting away from first come first serve is hard, and I think there’s also resistance to participate by some agencies because it is different – using a common assessment tool and matching clients for programs from the priority list,” she said. Moseley said that TCPH has been exploring the prospect of implementing a Coordinated Entry system since 2012. In 2014 the Tucson community joined the 25 Cities Effort to End Veteran and Chronic Homelessness, created to assist communities in accelerating and aligning their existing efforts toward the creation of coordinated assessment and entry systems. “That’s really when we quit talking about coordinated assessment and started doing it,” Moseley said. Tucson Mayor Jonathan Rothschild referenced the 25 Cities Effort in his March 2015 State of the City Address. “There is a push to end Veteran homelessness in Tucson by December 31, 2015. To date, 14 partner agencies, including the city’s housing department, have housed 920 formerly homeless Veterans – more than halfway to our goal,” he said. The U.S. Department of Veterans Affairs (VA), in partnership with the U.S. Department of Housing and Urban Development (HUD) and the U.S. Interagency Council on Homelessness (USICH), launched the 25 Cities Effort in March 2014. The 25 Cities Effort is a key Federal strategy through which 25 communities, including Tucson, AZ, are receiving technical assistance and mobilizing local planning efforts and partnerships to create effective systems for aligning housing and services interventions through coordinated systems to end homelessness. Led by VA, in partnership with HUD and USICH, the aim of this effort is to assist 25 communities in accelerating and aligning their existing efforts toward the creation of coordinated assessment and entry systems, laying the foundation for ending all homelessness in these communities. 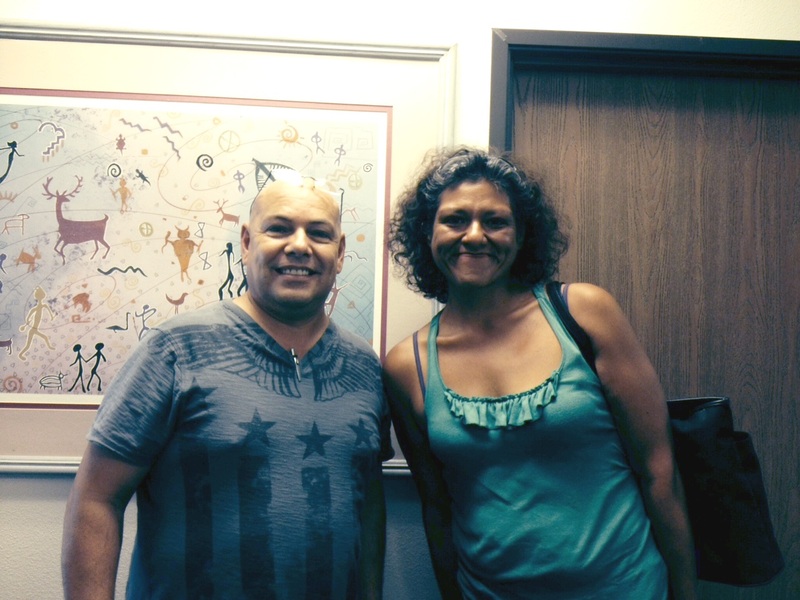 Rudy Trinidad is a Housing Navigator and Case Manager for the Pasadera Behavioral Network. He has been a homeless Navigator and Advocate for five years. He is passionate about ending homelessness in Tucson and grateful for Pasadera Behavioral Health Network’s openness to providing the resources he needs to achieve this goal.